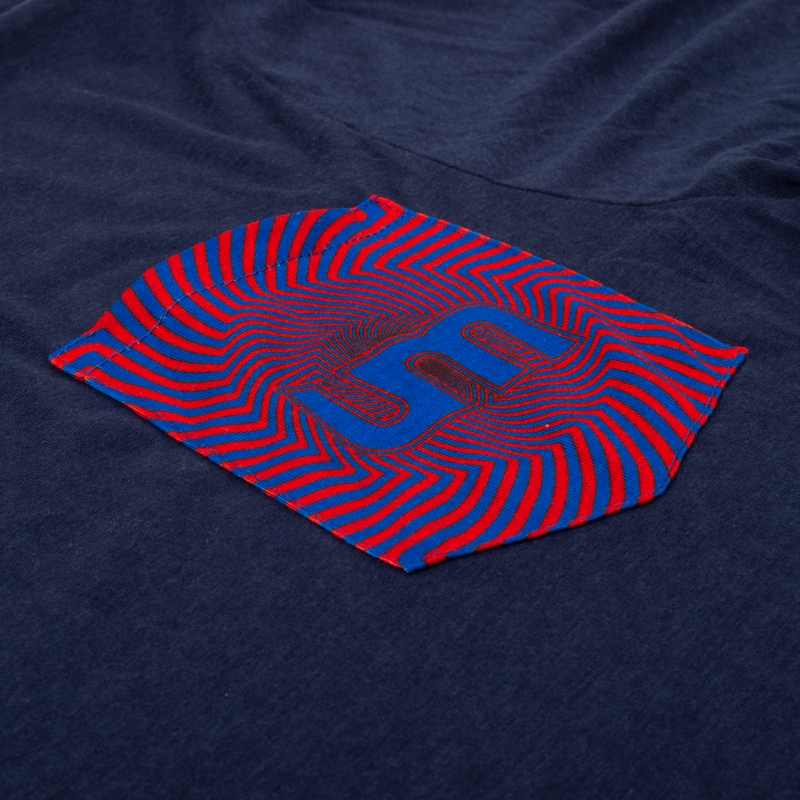 You're getting very sleepy. 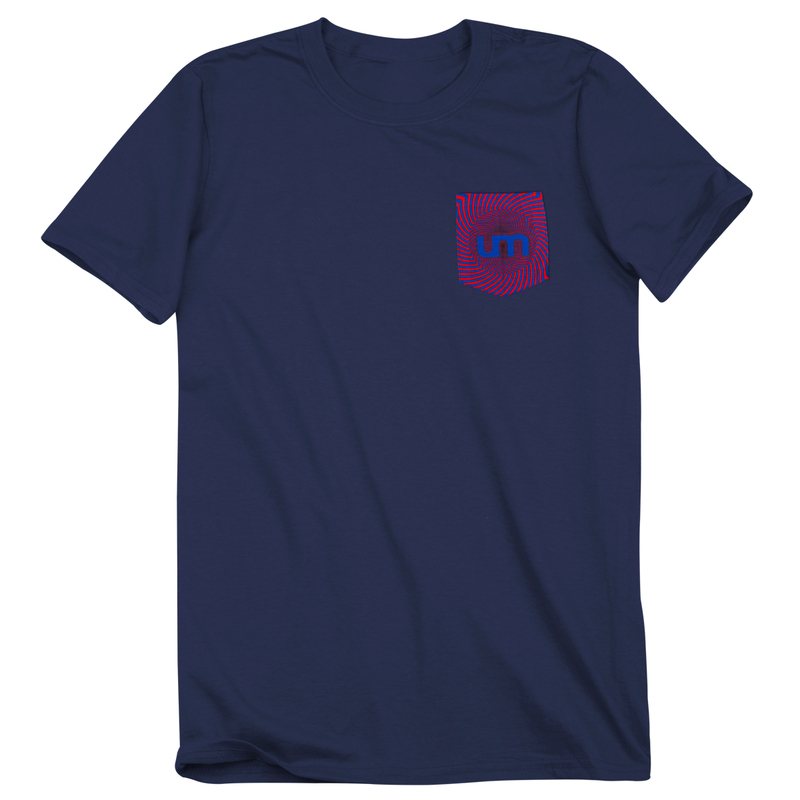 When you wake up, your favorite band will have released two new albums in 2018, it's not us and it's you. This sublimated pocket tee features hypnotic artwork from the it's not us Deluxe edition, stitched onto a pocket on an ultra soft lightweight navy t-shirt. 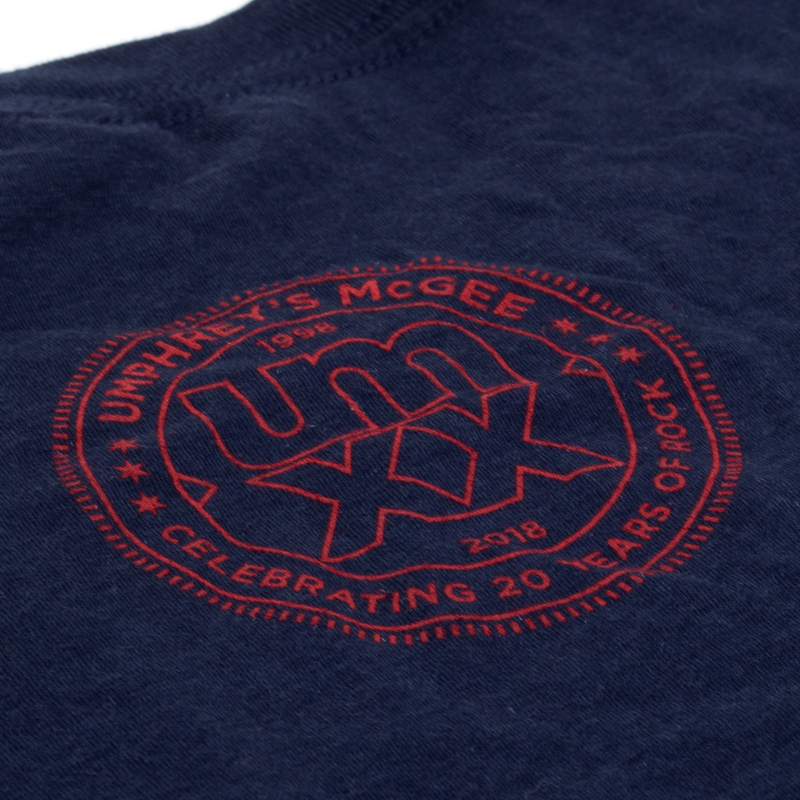 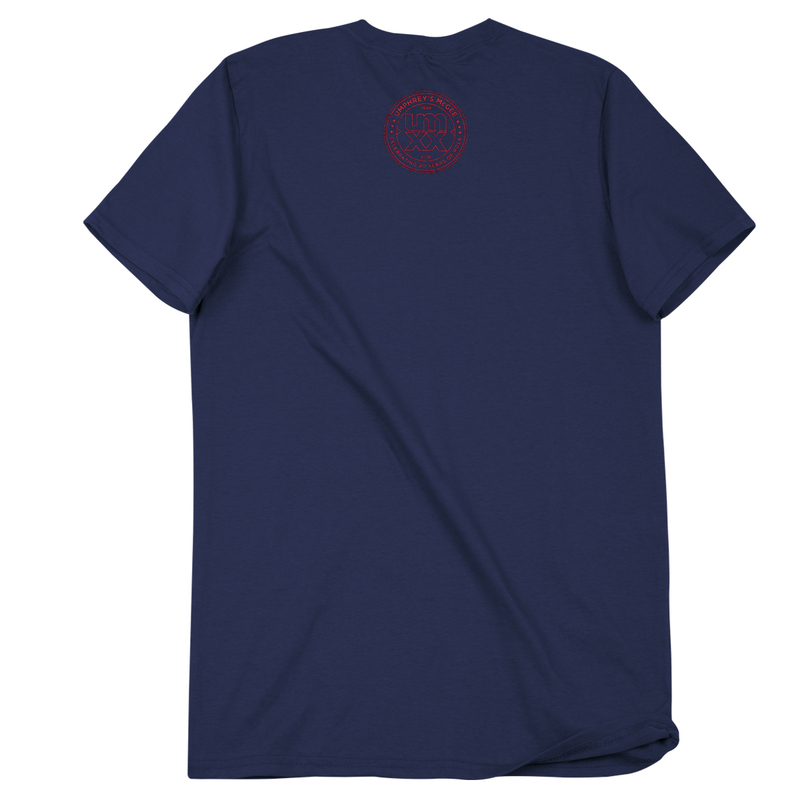 The garment includes the official Umphrey's McGee 20 Year Anniversary UMXX seal, commemorating 20 years of face-melting rock. Put this one in your back pocket. When they're gone, they're gone!